Flaunt turtleneck even more fashionably with these 5 styling tips. Winter is here and all you think about is snuggling into some nice warm clothing. Turtlenecks – perfect winter-tops will never go out of style. They are warm, snuggly and help to keep our necks warm. This winter, style your favourite turtleneck by wearing it with these 5 things. Opt for a nice pair of palazzo bottoms – you can go for the same coloured (but different shade) to add a little girlishness to your look, or can opt for contrast colours altogether to add a different edge. 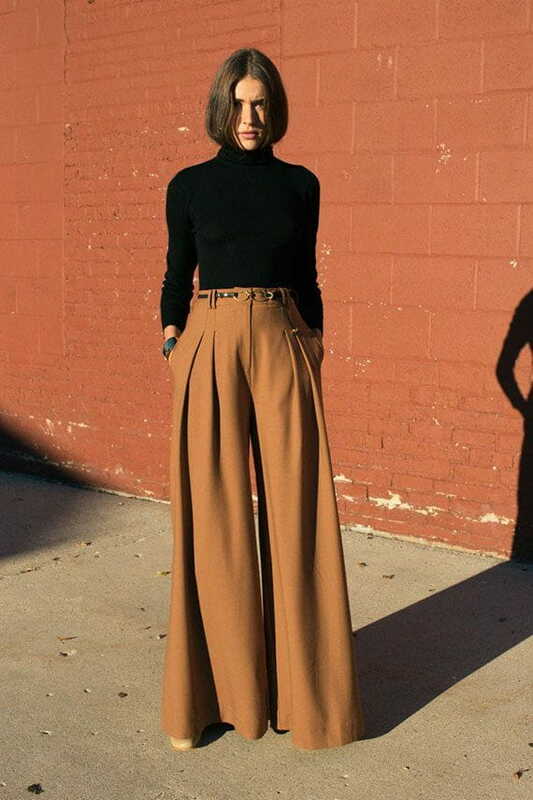 Not many know that pairing turtleneck with palazzo gives you some virtual height and make you look leaner. 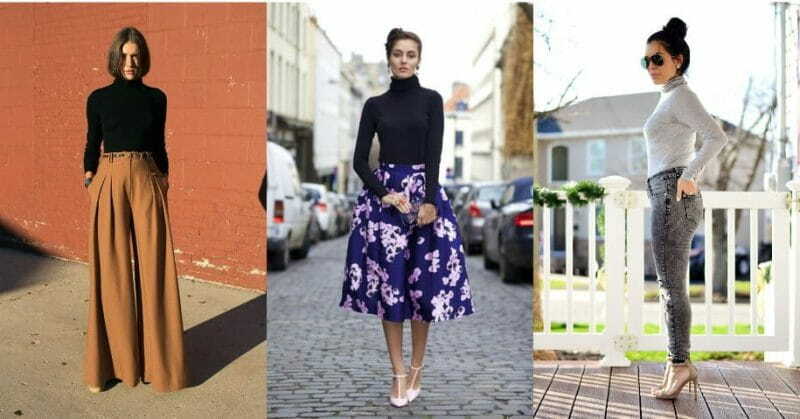 Turtleneck with midi skirts is so retro and fun! You can opt for a plain turtleneck and chunky floral printed midi skirt to add a light peppiness to your otherwise classic outfit. Opt for nice old-fashioned pumps or mid-heeled and low-ankle boots to go with your outfit. Want to opt for something warm for winter parties? Pull on a turtleneck full-sleeved top (t-shirt or sweater) and pair it with a mini skirt (pencil or flared), black leggings (warmer than stockings) and dark-hued boots. You are absolutely good to go! The most casual you can go with a classic turtleneck is by pairing it with jeans. When grey turtleneck can work like charm on anything, literally, with a good pair of jeans you can experiment with colours of your top. And for footwear, you can literally opt for anything from a pair of classic tennis shoes to a pair of classy pumps. You can make your turtleneck look ultimately classy by adding the right amount of bling with it – opt for a nice set of metal jewellery. Make sure that the neck-piece has a nice big pedant.